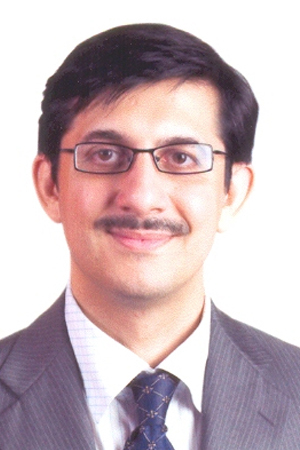 Duraid Qureshi is the CEO and co-founder of Hum Network Ltd. He started his career in Treasury trading and after completing MBA joined Al Abbas sugar mills Ltd as Chief Operation Officer and Resident Director. In 2001 joined as a CEO of Moomal Productions and turned it into the largest production house in the country. In 2004 he founded Hum Network (formerly Eye Television Network Ltd), launched Hum TV in Dec 2004. Hum Network has 4 channels operating in entertainment genre Hum TV (GEC) Masala Tv (24 food Channel), HUMSITARAY & Style 360) (entertainment and style). In recognition of his dedicated and outstanding services in the field of Media the KSE(The Karachi stock Exchange(Guarantee) Limited and Mass Human Resource, presented the “Best CEO Awards in media sector” to Duraid in 2012,2013,2014. HUM TV today is a household name and the most successful TV Network in the country. HUM TV is being viewed by South Asian communities in USA, Canada, UK & the Middle East. Hum Network has established subsidiaries in the USA as well as the UK. Duraid has also has a passion for the Publications Business and has launched successful Magazines including GLAM & Masala Food Magazine. He intends to further enhance the Publications business in the near future. In 2014 Lahore University of management sciences has nominated three people for the award of “Pride of LUMS” and Duraid is one of them it may be noted that this is the first time that people from media were recognized for their contribution by the business school alumni.